Eat Ethio on the turntables at ‘A New Flower’ event (curated by Rahel Debebe-Dessalegne with Analogue Foundation and Brilliant Corners) in celebration of Ethiopian and Eritrean New Year. DJ sets also from DJ Yonatan, Olmo & Rachel with live performances from KM Ethiopian Music Group, Dan Kira Dance Collective and Ethiopian Abstractions (an improvised set lead by percussionist Tom Skinner with vocals by Rahel Debebe-Dessalegne). Select photos thanks to Silvia Gin. 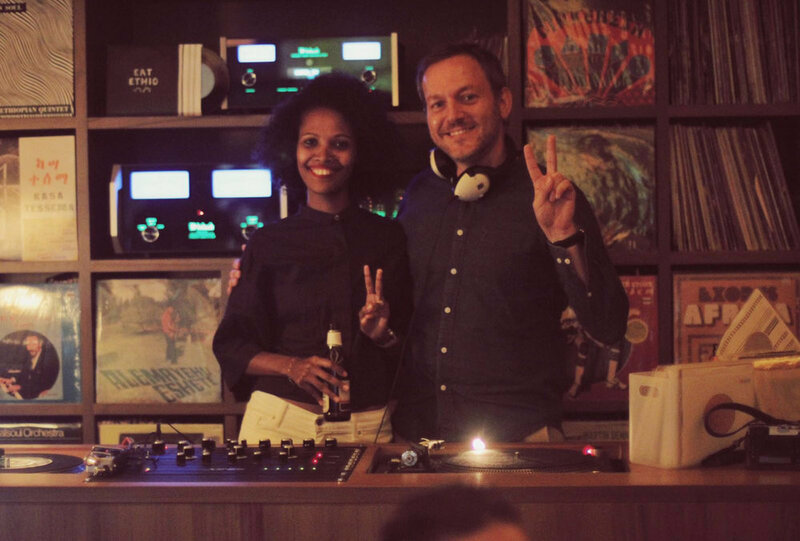 Monthly Sunday Ethio Jazz DJ set at The Music Room, Potato Head, Hong Kong. Strictly vinyl! Photos thanks to Emma French & Keshia Hannam.